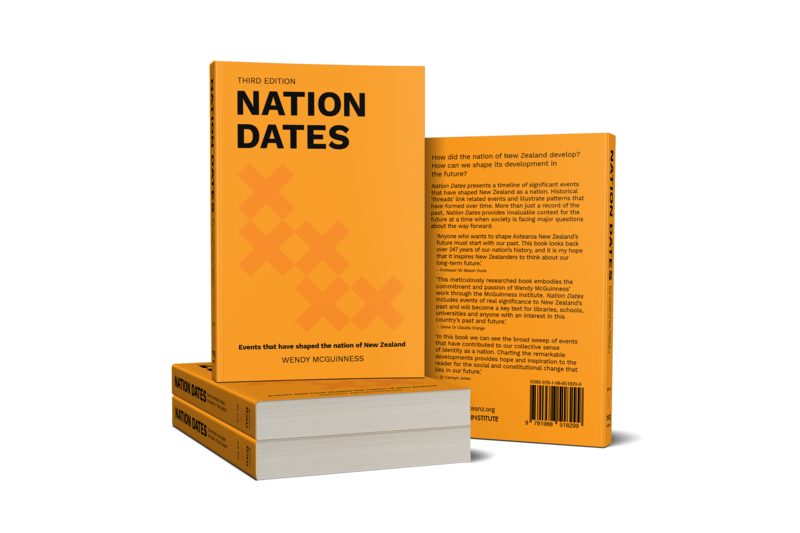 We are proud to announce the publication of the third edition of Nation Dates! After receiving a lot of great feedback from those who loved the second edition, we have added 130 new significant dates. This edition of Nation Dates presents a timeline of 655 significant events that have shaped New Zealand from 1769 to the present. To purchase a copy, visit Unity Books in Wellington, or visit the McGuinness Institute online store. RRP $35 (GST inclusive). If you have feedback on the third edition, or if you have suggestions for significant events to be included in the next edition, please submit a comment below or email us at nationdatesnz@mcguinnessinstitute.org. NationDatesNZ is an initiative of the McGuinness Institute.